Over the past 40 years, Music Office has nurtured generations of musicians and music lovers. To commemorate this moment, Music Office has invited some outstanding alumni and former Music Administrators to share their precious moments at Music Office. The then Hong Kong Governor Sir Murray MacLehose paid particular attention to the city’s cultural and social development. “Previous Governors did not attach much importance to music, but Sir MacLehose was different. He loved music, and he was also quite popular among youngsters. He was a frequent concertgoer and often received applause from young audience as a sign of welcome.” Mrs Wong also recalled an interesting conversation with the Governor. “My immediate supervisor at the time was the Commissioner for Recreation and Culture. One day, the Governor bypassed my supervisor and called me directly. I took the call as a joke from my supervisor, and the Governor politely confirmed, ‘I am your Governor!’” The Governor knew that a famous musician would be en route via Hong Kong, so he called Mrs Wong directly and asked her to organise a masterclass out of it. It was by this chance that Mrs Wong got acquainted with violinist Isaac Stern. To achieve the two major targets, the Music Office began to organise instrumental training classes to nurture performers and to promote music to the public through the “Music for the Millions” concerts. 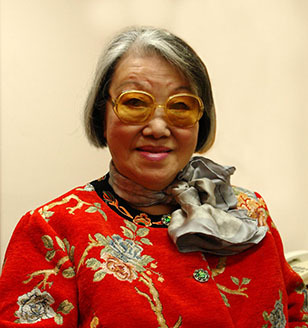 During Mrs Wong’s tenure, one of her strategies was to showcase the talents of Hong Kong musicians around the world. “It’s not just to say how good our students are, but to let the audience hear and see how good they are. Music is a universal language. The best way to understand music is to bring it with you to the world.” Stern later set up a music institute in Cyprus. Through different channels, the Music Office provided subsidies for young people in Hong Kong to receive coaching from great masters in Cyprus and to perform along the way. Some trainees even went to London for exchange activities. That was how the local music talent started their overseas exchanges. “Hong Kong musicians often had an edge in overseas performances.” Mrs Wong recalled that Chinese music was always on the programme when their trainees went on overseas concert tours, and Chinese music was popular in many parts of the world. “The audience was very passionate about and deeply impressed by the excellent performance of both Chinese and Western music staged by Hong Kong young musicians. There were repeated requests for encores, keeping us from leaving.” Such exchanges not only enabled musicians to make friends with one another, but also introduced Hong Kong’s Chinese and Western music to overseas audiences. Having chaired many meetings on strategy for music development in Hong Kong, Mrs Wong’s experience was unparalleled in the Government at that time. “During the days when I was in the Music Office, I certainly had meetings with Administrative Officers of different departments and got in touch with a lot of musicians. Their backgrounds were so diverse, say Thomas Wang was from Shanghai and Tong Leung-tak was from Beijing. They all spoke different dialects.” However, according to Mrs Wong, exchanges were always smooth despite the fact that they spoke different dialects. “Chinese music experts speaking Shanghainese and Putonghua met with English-speaking officials, working together in the Government.” The discussions, with Mrs Wong’s endorsement, became official minutes written in English, and are now archived in the Government Records Service. Mrs Wong witnessed the early music development in Hong Kong. Being an Administrative Officer mainly responsible for administrative work did not preclude her love for music. As an outstanding pianist, she was a frequent award winner during her earlier years. “Music lovers easily radiate their passion for music. After all, music is an art of communication,” Mrs Wong said. External music exchanges were a brand new experience for many young musicians. “Apart from travelling by plane for the first time with the ensemble’s delegation, they were also ambassadors to showcase their music talents on stage in other places for exchanges. This gave them a greater sense of fulfilment.” Mrs Ho recalled that shortly after the signing of the Sino-British Joint Declaration (the Declaration) in 1984, she led a delegation from the Music Office to Beijing and Shanghai for performances. It was particularly meaningful for them because they were the first batch of Hong Kong students taking part in music exchanges in the Mainland after the signing of the Declaration. Leung Kin-fung joined the Hong Kong Youth Symphony Orchestra of the Music Office in 1978. He had been a member of the orchestra throughout his entire secondary school life. He was like treading on ice when he first joined the orchestra. He said, “There were so many experienced big brothers and sisters in the orchestra, and I was just a green lad.” However, what he enjoyed most was playing in the orchestra. “When I studied at university in the United States, I resolved to be an orchestra musician, but not a soloist like Yo-Yo Ma. One more thing was that I wished I could hold one of the two seats in the front row of the orchestra.” He believed that the guidance of conductors and instructors given to him during his long period of training in the youth orchestra had in some way determined the direction and objectives of his career. Though the auditions of the orchestra were stringent, Mr Leung was brilliant enough to be recruited into the string orchestra. Soon after he got used to making music with others, he was recommended to join the Hong Kong Youth Symphony Orchestra (B). Mr Leung said that it was an orchestra at elementary level for trainees to familiarise with playing in an orchestra. “One day, I received a letter notifying me that I would become a member of Orchestra (A) of the Hong Kong Youth Symphony Orchestra. It was the most encouraging moment in my life. I had been happy for a whole month. At that time, I did not know how to react, but later I came to know that it was very important to me. My dream to perform in an orchestra came true. The letter was framed and is still in good shape.” In retrospect, Mr Leung considered the satisfaction and confidence he gained in music was originated from the training in the orchestra. When the Hong Kong Youth Symphony Orchestra was to go on overseas concert tour in 1979, Dr Lung flew back to Hong Kong to join the Orchestra for performances. 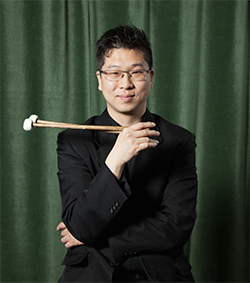 “I was so honoured to be the Principal Percussionist, playing Darius Milhaud’s Concerto for Percussion & Small Orchestra, and to go on concert tour to the United Kingdom and France with the Orchestra.” He later completed his studies in the United Kingdom and the United States, and obtained the postgraduate and doctoral degrees before returning to Hong Kong. 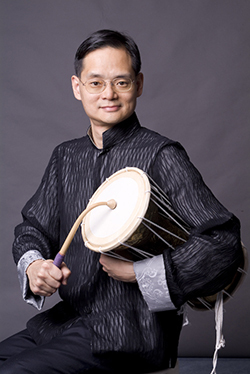 He had been the Principal Percussionist of the Hong Kong Philharmonic Orchestra until 2003, when he founded the Hong Kong Percussion Centre. He established the centre because he saw the big world for percussion. “The world of music is vast; it is particularly true for the world of percussion. The more you learn, the more you realise how deficient you are. 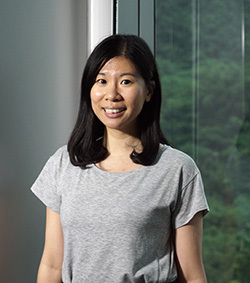 Therefore, we have to stay humble and keep learning.” Dr Lung is a soloist, an educator, and recently a musical instrument maker, who has been invited by the renowned Taiwanese artist Ju Ming to participate in a plastic installation exhibition. Dr Lung’s works were put on exhibition for six months between 2013 and 2014. “Suddenly I became a visual artist,” exclaimed Dr Lung. What music brings him is a journey of life-long learning. 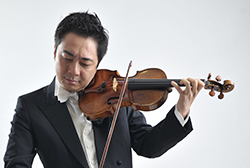 James Leung began his instrumental training in the Music Office in 1979. Before that, he was an active member in a school band. “When I was in Form 4, the school identified some students who loved music and pooled some instrumental instructors to organise instrumental training classes in school. I learnt to play the bassoon at first, but my training came to a halt after I completed Form 5. As recommended by my instructor, I later continued my training in the Music Office.” Afterwards, Mr Leung joined various district orchestras under the Music Office and subsequently joined the Hong Kong Youth Symphonic Band. He was then employed by the Music Office as an instructor to give instrumental training and to manage music scores. This experience was very beneficial to Mr Leung’s subsequent career. He has been the Director of Music of the Hong Kong Police Band for years, and has led the band in marches and performances. He has witnessed almost all the historic occasions of Hong Kong, and has led the band to overseas performances and exchanges. To him, the state of mind for working as the Director of Music of the Hong Kong Police Band is more or less the same as that for a musician in other orchestras. “Undoubtedly, the police band is unit of a disciplinary force. Due to operational needs, its mode of operation is quite different from that of an ordinary orchestra. We have to strictly abide by discipline. There are also differences in methods and sections of rehearsals and mode of management. Yet, in terms of musical performances, we are the same as other orchestras. Of course, we have certain limitations on repertoire; we cannot play whatever music we like during ceremonies. However, when the time comes, we may still perform something we like.” He said with a smile that it was not particularly difficult to be a disciplinary officer. 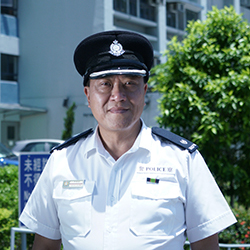 Like other Superintendents, Mr Leung went through tough training in the Police College, including physical training, legal knowledge, police rules and use of firearms. He was no exception and he had to pass the assessments before joining the police force formally. “Being tormented by the elements was common to us. We have to look vigorous and energetic in ceremonies. Fortunately, members of my band are physically fit.” Being a music director in a police band is not easy. On the day of the interview, Mr Leung was rehearsing the passing-out parade for the Police College in Wong Chuk Hang. Although it was a rehearsal, the supervising officers held stringent requirements on band members and passing-out members as well as every detail of the march. “They will wear neat ceremonial uniform during the real parade!” Marching on the searing parade ground requires powers of endurance. Mr Leung reckons that music is beneficial to personal development. “Music training is an ideal discipline training for children. To make good music, you must make effort in practice. Working hard makes good music, and your effort produces results. The satisfaction from a successful performance is irreplaceable.” The Music Office not only laid the foundation for Mr Leung, but also connected him with a lot of friends who love music. “Music requires co-operation and understanding. In my opinion, all music learners should join ensembles.” Many of his band mates in the old days are now his good friends, and he treasures their friendship dearly. 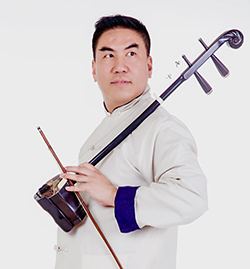 Ng Cheuk-yin is a composer, the founder of a fusion band SIU2 and the Co-Artistic Director of the a cappella group “Yat Po Singers”. He has studied both Chinese and Western music. 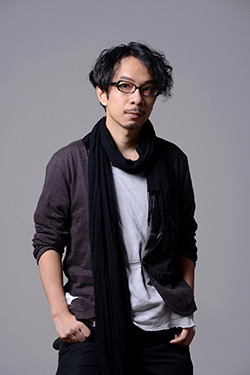 He composes music of different genres ranging from Chinese and Western orchestral music, a cappella theatre, Cantopop to crossover music. As a sheng performer and a keyboard player, Mr Ng often works with different orchestras. His musical journey began with the Music Office. His rich and diversified portfolio of compositions has been recognised with numerous awards, including the Hong Kong Arts Development Award 2011 - Award for Best Artist (Music) by the Hong Kong Arts Development Council; and the Best Serious Composition in CASH Golden Sail Music Awards by the Composers and Authors Society of Hong Kong for his theatrical choral work Rock Hard and his double sheng concerto Before the City Collapses in 2009 and 2013 respectively. Music not only realises his current achievements, but also gives impetus to his life. “More importantly, it drove me to move on along the musical path. This is not only for fulfilling my parents’ dream, but also for sharing the fun of learning with a group of friends who love music,” he concluded. Conductor Jing Li also taught Ms Law the ways to learn. “Ms Li sets clear targets for choir members in each training session. When targets were reached, the session would end with joy. I later discovered that setting clear targets for choir members to achieve together was also a norm for many other conductors. 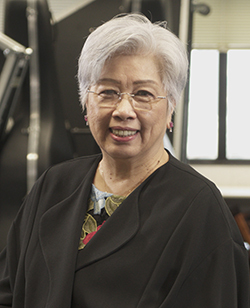 It shed light on me, thus I set my own targets whenever I practise or provide coaching to others too.” Another conductor who had inspired Ms Law was the Senior Music Officer of the Music Office, Dr Angelina Au. “Dr Au was very patient with choir members. Music is, in fact, an art that requires dedication to excellence. She taught us patiently and led us to reach the targets instead of forcing us to achieve the standard. That was totally different from my past learning experience.” Ms Law realised that musicians are not only going after artistic skills, but also the character and manner that inspire others. Ms Law considers that vocal music is the use of one’s voice to sincerely express one’s own thoughts. “At first, our voices may need to be refined, but after learning vocal music, our voices will become more beautiful, which enable us to express ourselves and, in turn, to move the audience.” As a choir conductor and a vocalist, Ms Law is working toward this goal. Ho Pui-kei joined the Music Office Children’s Choir in 1992 and, later, the Music Office Youth Choir. While he had experience in singing in a choir at a very young age, it was not until he joined the Music Office choirs that he realised he had to learn music seriously. “There was regular practice every week, when choir members from different places gathered together. Members practised together, heading towards the same goal, thus bearing a sense of responsibility in accomplishing the goal together,” he said. He thinks that the Music Office provides a favourable environment to nurture people’s passion for music. He first received choir training at the age of 11. “When I went into the Mong Kok Music Centre of the Music Office, it seemed to me that it was another world. Everyone there was dedicated to give their best for music, and paid no attention to other things.” Every choir member was determined to perform his best. His being selected as the Most Outstanding Member of the Choir was impressive. “The conductor publicly stated that she witnessed my growth in the choir with continuous improvement; not only in music, but also in all getting along with people,” Mr Ho recalled one of his most memorable moments.